Every month Permaframe receive letters of satisfaction. In fact people who choose us are often so pleased with their purchase and the unbeatable value for money, they do not hesitate to recommend us to family and friends. Have a look through a small selection of reviews we have received recently. I cannot fault anything with this company, they have always been excellent. Used Permaframe previously for a new conservatory roof and now have had 2 external doors fitted, composite front and Upvc back. Have no hesitation in recommending to anyone. We have used Permaframe for replacing a conservatory roof, now solid, and now fitting of front composite and back Upvc doors. Excellent service in every way and wouldn’t hesitate to recommend. Really great service - visits from the team, good experience fitting and excellent after-care will definitely recommend! Staff were on time, polite and courteous throughout installation. Ensured I was satisfied with product prior to leaving made amendments as necessary. Information left if required aftersales assistance. I've used permaframe on many occasions over three addresses, always good value, honest service, will put right any niggles without fuss. Have recommended them many times. Very pleased with product + filling. Good service with a couple of small errors with appointments and delivery. I've used Permaframe lots of times over the years. Always satisfied! Excellent product, great installation work. Natural choice to use company as I have used them in the past. Very impressed with all aspects of work. 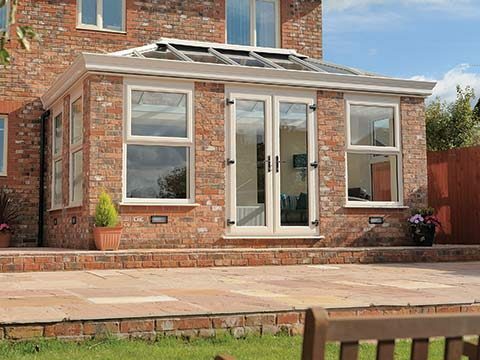 We were very pleased with everything, the product, French Doors, and all the staff that we came into contact with. 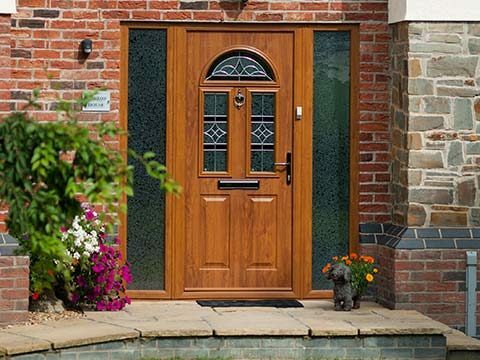 I could not fault the service I was given from when I ordered the door until the door was fitted and the fitters were friendly and clean. I felt fully consulted throughout the whole process. Your approach was pro-active without being pushy. I also like the products. Over the past 20 years we have had Permaframe four times giving us excellent service. Service was excellent. Fitters were on time, clean, tidy and friendly and approachable. I’m very, very pleased with my new windows and doors. The doors and window are fantastic and really finish off our project. It was a big expense but very happy we went ahead with it. Good quality door. Excellent after sales service. Could not wish for better workmanship. Met all myself + husbands requirements. Excellent fast and tidy installation. An excellent product from a very professional company. Good work team Permaframe!! Very pleased with windows, Price was good. The new windows replaced ones fitted many years ago by Permaframe and matched the original ones. The whole house did not need to be done. Right from the very first meeting with sales staff, to the final inspection, we were very happy with every aspect of the work done.There was always someone there to answer questions and help us decided what we needed. Very good advice on which windows & doors would work for us. When it came to the conservatory, the builders were very tidy & friendly. We had a number of visits from Kevin Loader, the installations manager, he made us feel confident that we'd made the right choice with Permaframe, he answered all questions professionally and with confidence that made you believe in the product and the company. I would recommend Permaframe to friends and family. Fitting of new conservatory.staff were polite,efficient and knowledgable. Workmanship was of a high standard. Knew what they were doing and got on with it. Company was helpful and obliging through the whole process. A 1st class company to deal with. An excellent all round job at a very reasonable cost. The salesman on my initial visit was very helpful and soon processed my order. This was backed up by the installation manager who fixed the date and explained the whole process. The Fitters turned up bang on time and quickly set about their task. They have done a top job and went the extra mile regarding finish and leaving the house and garden tidy. I forgot to mention the window surveyor, without his experience the whole job might not have gone so well. Well done the Permaframe team! We will certainly recommend you. Regards Steve and Martina Hardwidge. I couldn't fault the staff at Permaframe whatsover, they were polite and professional throughout the whole process. I highly recommend. Excellent local company. Have employed them for more than 30 years. The whole process from first contact to completion went seamlessly. Impressed with all I dealt with. Very helpful, hardworking and skilful. Everyone we met was courteous and friendly. Very pleasedwith the end result. Thankyou all. Excellent service overall, thank you. Permaframe offered the best customer service and showroom of all the companies we had quote for us and that is ultimately why we went with them. We have not been disappointed throughout the process and will recommend them to others in future. We also plan to use them again when we eventually finish the project. Both the advisors and fitters were knowledgeable, informative and friendly and we couldn't be happier with the end result. Pleased with the installation. There were a couple of snags; but there were quickly corrected by Permaframe. Pleased with purchase. Excellent service. Helpful advice and quick response. Would fully recommend them. Hopefully after care will match up. Very happy with the price, service, fitting and quality of the windows and doors installed. The installers were punctual, tidy and I have on complaints about their workmanship. Windows & Doors Croscombe Wells Som. Permaframe was the most professional firm in comparison to others. Although there was a minor glitch with one of the Windows, the problem was sorted very quickly and efficiently. I would recommend Permaframe to others and will definitely contact them when we need other work doing. I have never had double glazing installed before and was dreading the experience. What a surprise! Permaframe did a very good job from office telephone anwerer, to saleman, to installers. A totally positive experience and all a credit to their company. The result was windows I like and thought were reasonably priced. I just wish I had it done years ago! Very pleased with the whole job that was done, including dealing with Permaframe. My wife is disabled and spends a lot of time in bed so we had a half length draughty window replaced by a full length window to improve her outlook. This included cutting through brick work. The job was done very efficiently and we are happy with the result. Our fourth installation by Permaframe and, as always, very pleased with product and installation from start to finish - excellent quality and service. I cannot find any fault. The service was 100% Plus and all were pleasant, courteous and a pleasure to meet. What more can I say. Elizabeth. 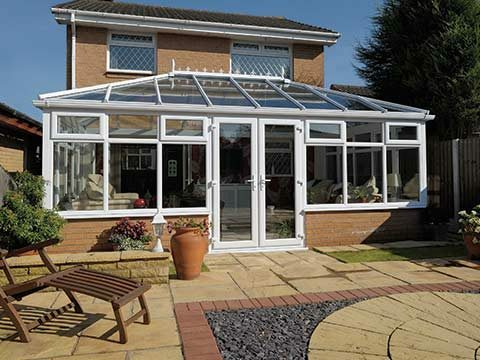 Replacement conservatory with a new design of roof. Everyone involved were helpful at every stage of the project. We are extremely pleased with the finished result. Good quality. well organised and on time. Reliable service. I am delighted with the windows and the way in which the work was carried out. Overall delighted with our windows and conservatory. Fitted didn't go as smoothly as it should have done but we got there in the end. Firm quick to sort problems. Other trades used by Permaframe were excellent - As were their own employees. This is our second installation from Permaframe and in both instances the quality of the product and professionalism of the installation team was excellent. Excellent. Really pleased with outcome and fitters. First class product. Some confusion over locks/keys but very willing to solve. Well done to everyone who I have dealt with from Frome Permaframe. Everyone was polite and helpful and they enjoyed their coffee and biscuits. I think I have already submitted this review so will reiterate how pleased my husband and I have been with the final result. Recommended your company to my daughter, Mrs Murray, in Bristol who is in the process of having you fit doors and windows at her property. Very pleased with new front and back doors. Bob (?) our workman had to unexpectedly do the work on his own and worked solidly from 9:00 - 5:30 and my husband and I are very pleased with the result. He arrived on time and cleaned up everything before he left. The doors fit well and work well and I do not anticipate any problems. 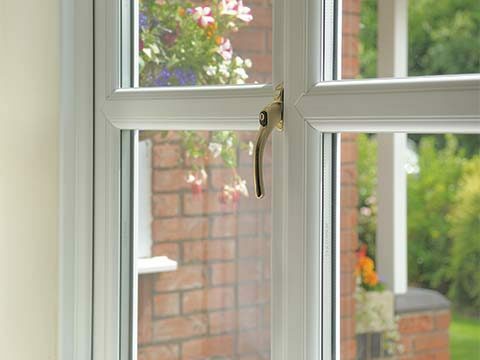 I have recommended Permaframe to my daughter in Bristol and someone from the company is visiting her next week to give a quote on replacement bay window and back door. Would definitely recommend Permaframe to anyone. Repeat business following very satisfactory fitting of all doors and windows 2 years ago. To construct a conservatory. I cant thank Permaframe enough. Job well done. Started and finished on time, the finish was immaculate and they left the site completely clean. Their price was very reasonable and their salesmen were very accommodating. Very efficiently constructed and I'm very pleased with the result. We cannot recommend Permaframe enough, from initial contact in the showroom. They were able to interpret our needs to the letter, came up with suggestions we'd not thought of and were an absolute pleasure to deal with. The builders, (DMS) fitters (Rob and Ben) and plasterer (sorry can't remember his name) were all totally professional, easy to talk too and appreciative of teas, coffees and biscuits. Everything was cleaned up and washed down at the end of the day. Totally delighted with our light and airy extension, with guardian roof, which replaced a glass conservatory. Billing was easy too, just a quick bank transfer, job done! The attention to detail and my wishes by surveyor excellent, plus follow up. The workmen were good reps for the company. Nice people to deal with, every thing went as planned. Small adjustments were promptly made even though it meant a long drive for the fitters.Good products at competitive prices. Overall we are very pleased we chise them. Excellent service and products. Faultless. Fantastic workmanship and we are thrilled with it. Good job from start to finish. It was all so very easy from beginning to end. There was no hard sell and the quote was very detailed and clear. There was a problem in that two of our windows are so small that our chosen design wasn't appropriate. Permaframe found another manufacturer using the same materials who would make the windows as we required. We were really impressed that so much trouble was taken and we were kept informed all the time. The installers were very pleasant men who worked solidly and didn't waste a minute. Unfortunately it rained the whole time they were here and I did feel sorry for them but they didn't seem to mind. Everyone we've seen or spoken to at Permaframe has been pleasant and professional. All the staff were punctual, hard working and polite. Extremely pleased with all the replacement windows and doors. After sales service also excellent. All staff were very polite and helpful. The fitters were excellent. Very professional and have done an immaculate job. Thanks very much permaframe. I had reservations after the first days work so rang the company, their customer service was excellent and put my mind at rest. Everything is fine and any queries have been handled promptly and efficiently. Very pleased with whole experience all very nice people who did an excellent job. Friends and family have commented on the excellent quality. Very Pleased. Few hiccups but sorted. We have been using Permaframe for nearly 10 years and would recommend them without hesitation. Job was well done. We did have a problem with one window- quickly resolved but required the fitter to return. Problem could have been prevented if they surveyor & fitter had communicated better. Workman were very sympathetic to brickwork my late husband had built e.g. arcway, worked round it. A great job ! Love it ! Delighted with glass roof and new view it gives. Not so happy with join in one long exterior sill and different colour brown of end caps and joint covers. Very friendly professional service, Permaframe made every effort to interpret and realise our wishes. Top Job all round, well pleased. Excellent fitters and excellent after service. have used Permaframe before and would use again. Very Satisfied by end result. We are very pleased with your product and workmanship. Excellent Service. Punctual reliable and very tidy. 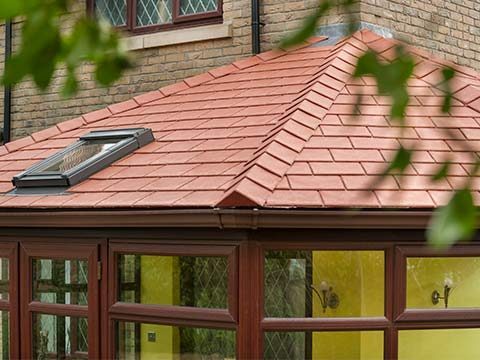 Solid Roof is excellent & finish. Fenestration V.Good. There was confusion over the total of opening windows required but this was resolved very well. Excellent service, as ever. We have used this company for nearly 20 years. Sub contractors failed to arrive on booked date but didn't telephone to let me know that they wouldn't be able to attend. I had to chase, they arrived next day. Apart from this the final project was as I had hoped. The whole process went very smoothly. The fitters worked extremely hard and were friendly and courteous. The electrician was also very efficient and between them all they did an excellent job. We are extremely pleased with every aspect. Have had lots of comments on how nice the door looks. Very pleased all round. Always pleased to deal with this company. All staff behaved professionally, helpfully and in a friendly manner. A small problem with a patio door handle was quickly resolved. The two teams who came were excellent! Couldn't have been given a better service! THANK YOU!